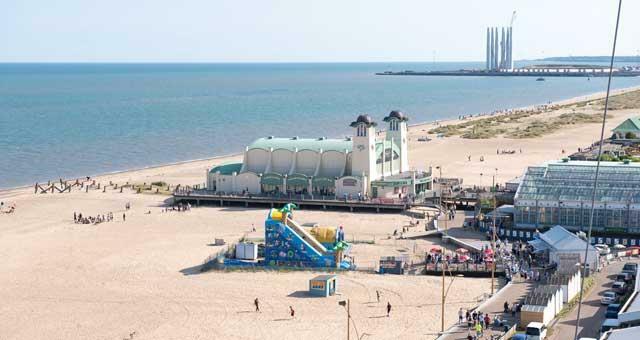 Great Yarmouth South Beach01493 846346work BeachGreat Yarmouth's South Beach is to the south of Wellington Pier and the Pleasure Beach. The wide sandy beach with its grassy sand dunes is ideal for families who want a quieter stretch of beach while still being close to all of the attractions and amenities provided on Marine Parade. On street paid parking is available along with public toilets and disabled access. At the far end of South Beach you will see the new outer harbour which although is still being completed it is now open to freight shipping. Dog walkers are welcome on South beach all year round. 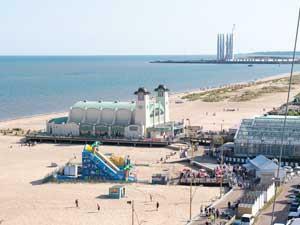 Great Yarmouth's South Beach is to the south of Wellington Pier and the Pleasure Beach.